Our signature blend celebrates the life & work of our great grandfather and his devotion to quality! As a tribute to our great grandfather R.S. 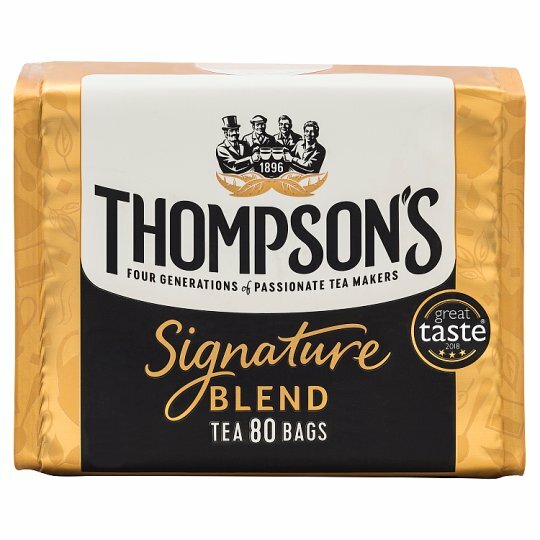 Thompson and his uncompromising devotion to quality, we have faithfully recreated his original signature blend! Check out many more of our blends. Love your tea as much we do! We insist that you enjoy your tea in perfect condition! But in the unlikely event that you're not totally happy with it, return the best before panel with your enquiry to the address shown, stating when & where purchased.